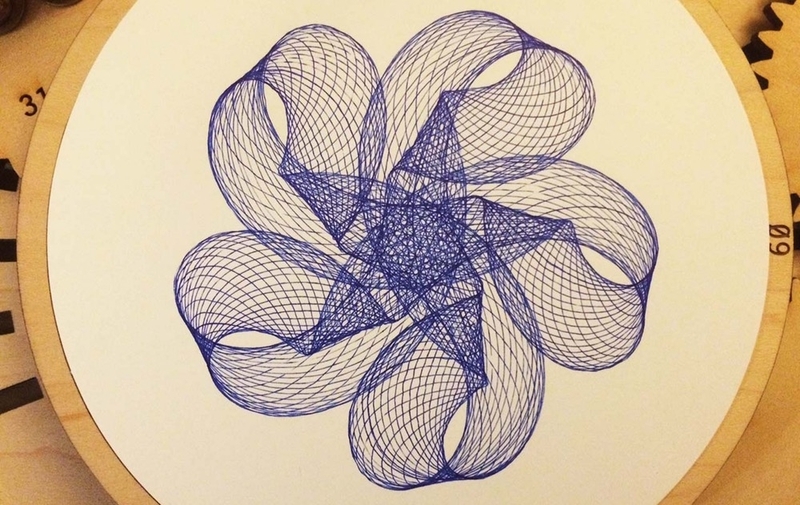 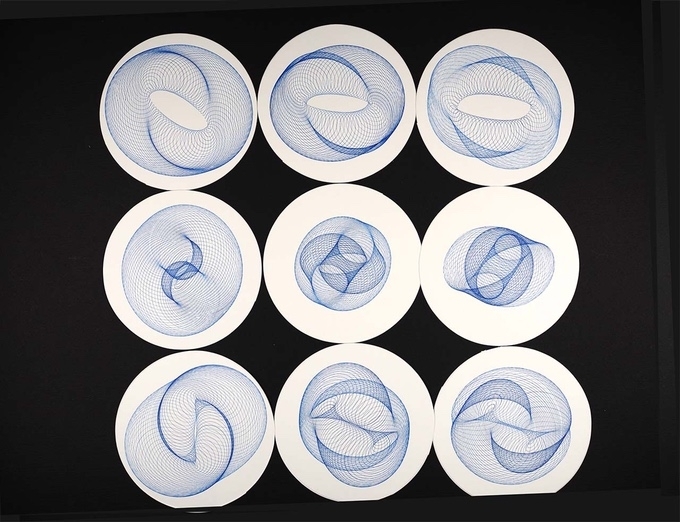 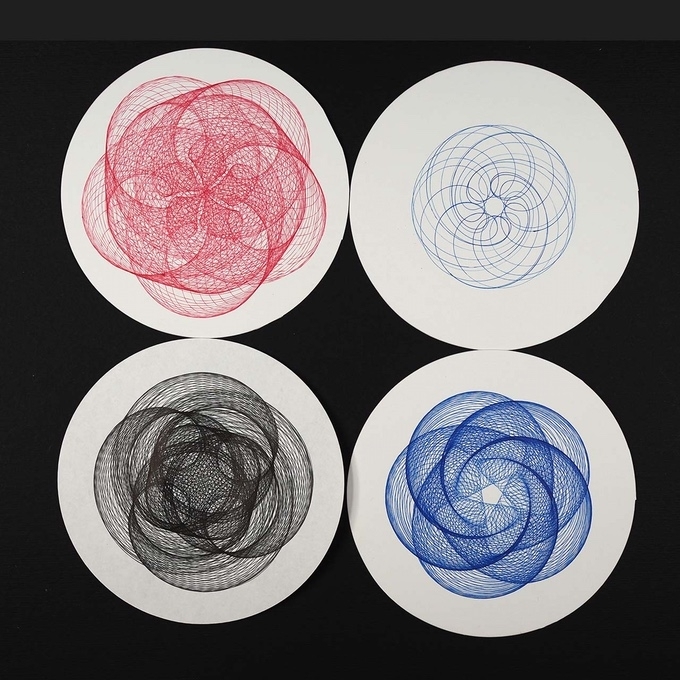 Geometric drawings that are as interesting to look at, as they are mesmerising when they are being drawn, see the video. 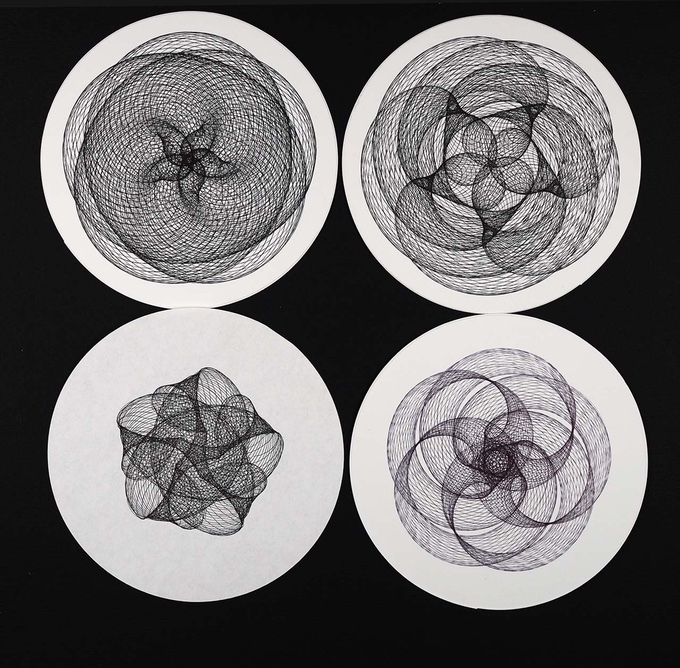 Joe Freedman from Oregon, he and his partner Ilisha Helfman, make optical toys, paper pop-ups, and dollhouse miniatures. 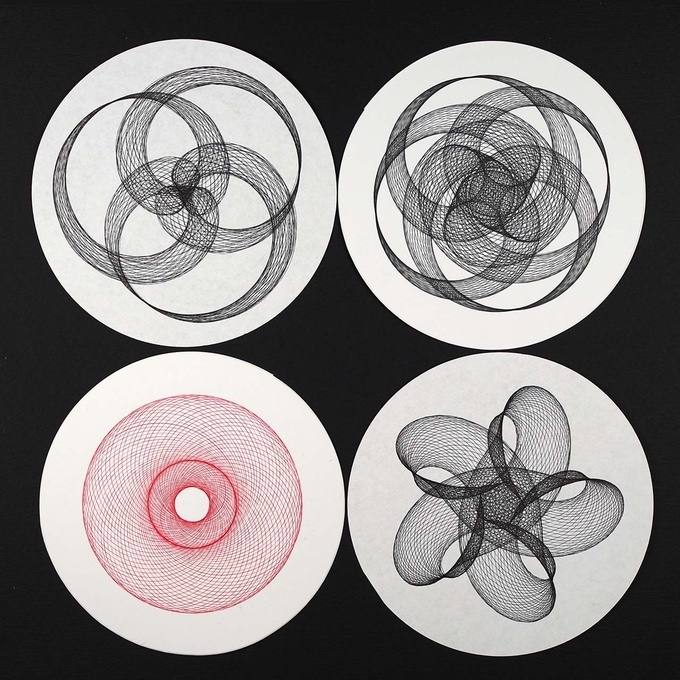 This the forth machine he has built to create these complex geometrical drawings and he says it is going to be the last one. 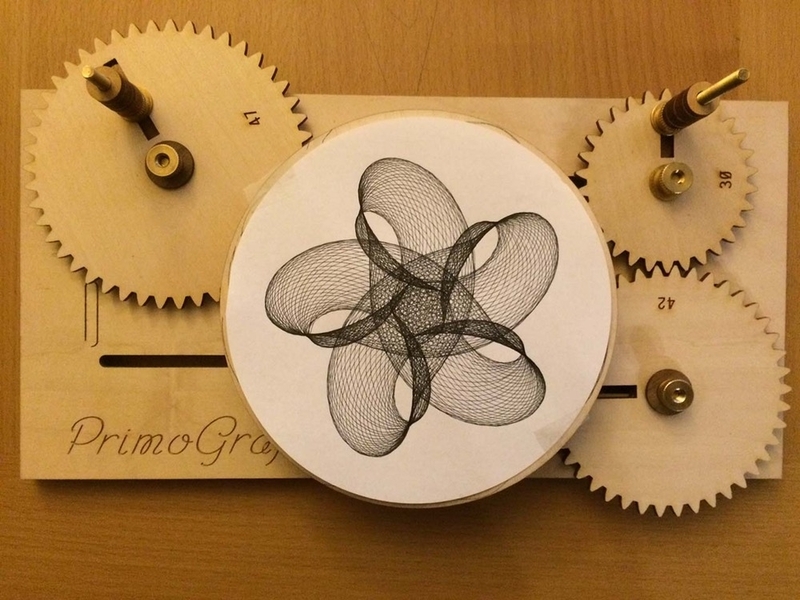 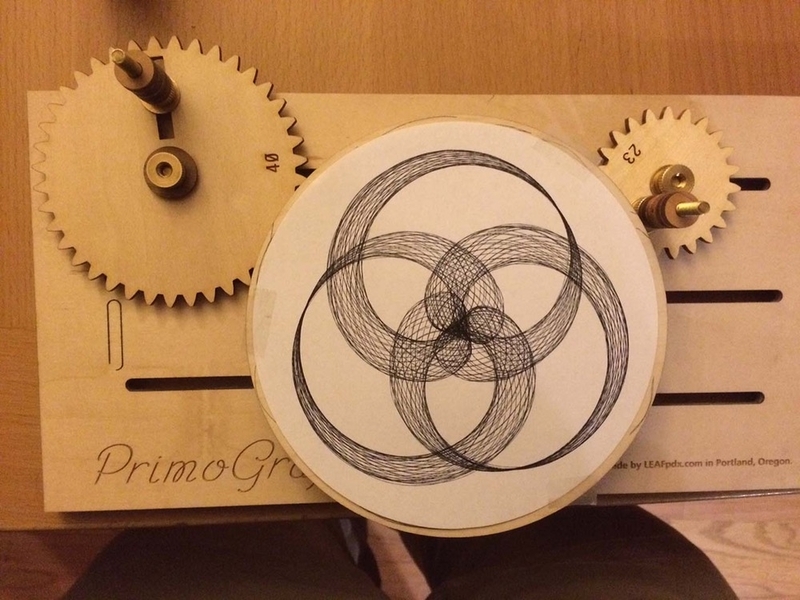 Freedman has raised the money to construct his machines on Kickstarter, the crowdfunding site. 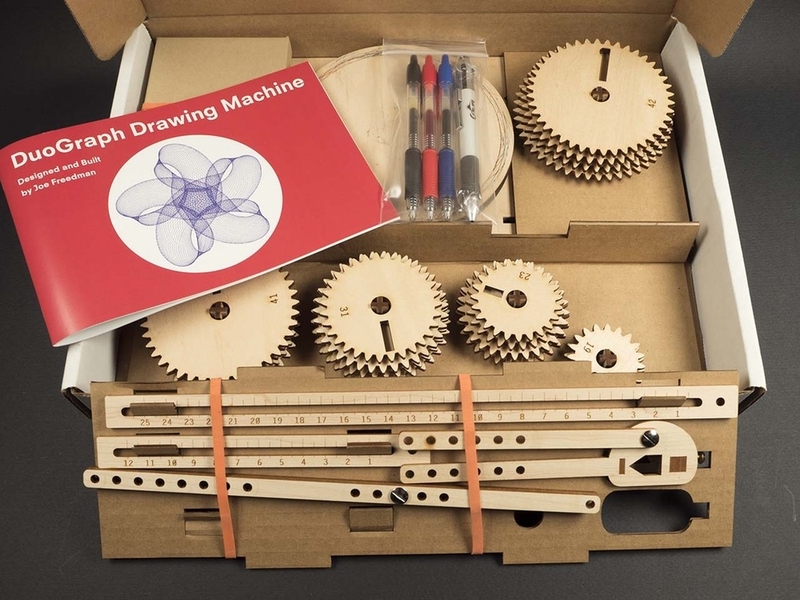 Because of the amount of gears and the settings that are available, you will be able to draw a vast number of different shapes. 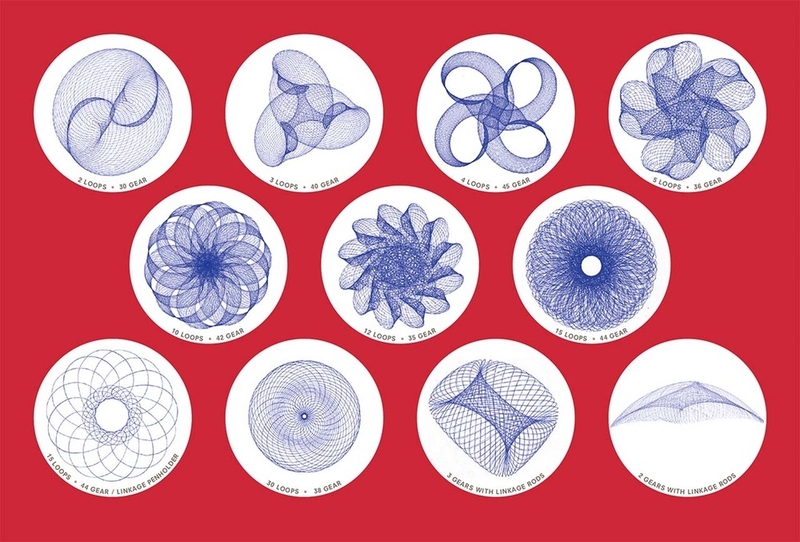 Freedman has not written how many permutations there are, but looking at the set up I am guessing quite a lot. 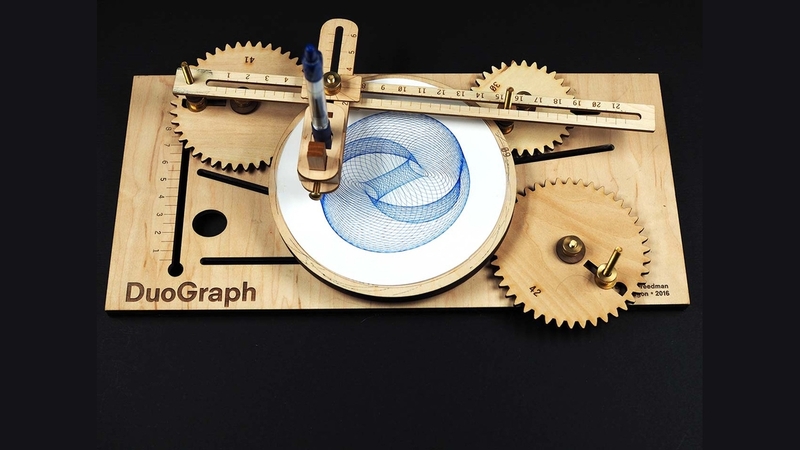 Mastering all of the different combinations of the DuoGraph drawing machine, is going to be part of the fun for the right person.